Just steps from downtown Rochester! 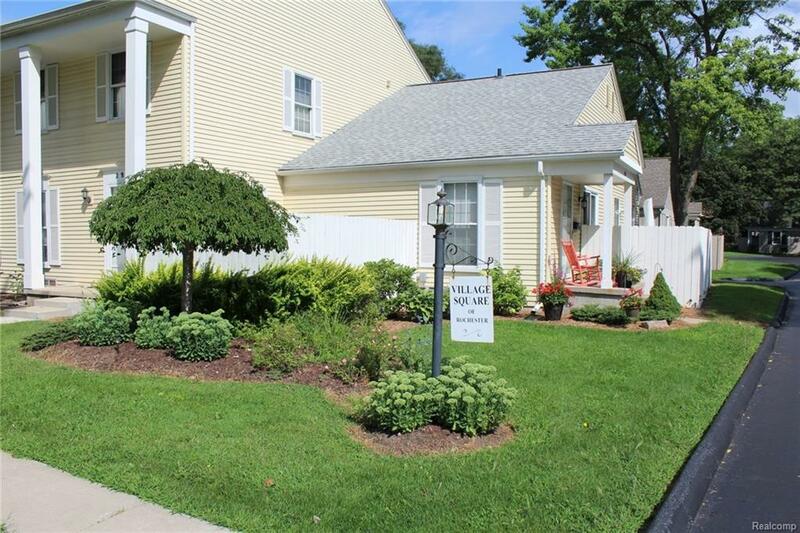 Move right into this well-maintained 2 bedroom, 1 bathroom, Village Square carriage unit. Recently updated with fresh paint, new appliances and flooring throughout. Master bedroom with walk-in closet and vanity. This home is located in the rear of the complex. Private fenced in patio. Attached 1 car garage with extra storage. Monthly HOA fee is $240-includes water, garbage, lawn maintenance, landscaping, snow removal, and exterior maintenance.